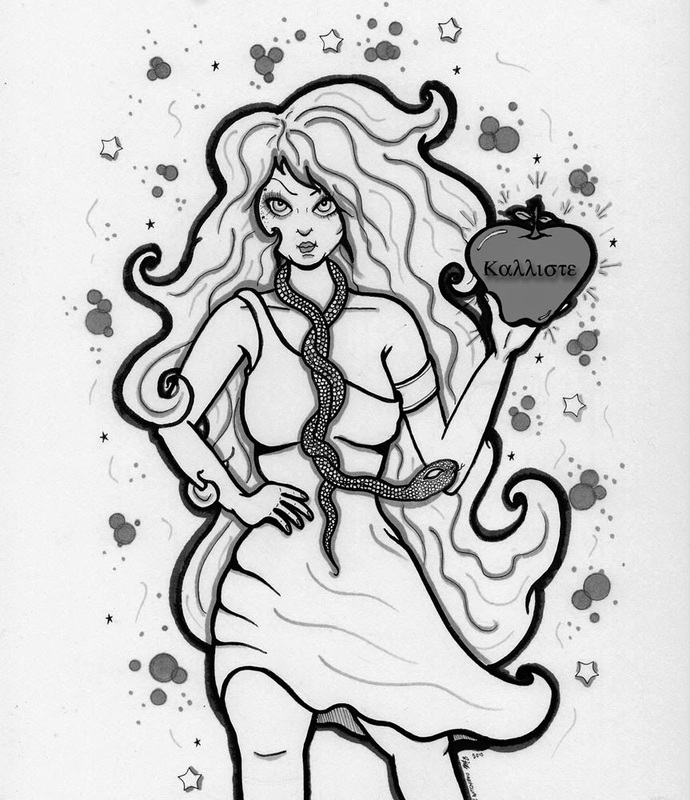 Eris by Michele Witchipoo, which launched the Eris of the Month feature at Historia Discordia. Muslims have Mecca, Christians have Bethlehem and Jerusalem, Jews have the Holy Land, and Discordians have the Brunswick Shrine in Whittier, Calif., in Los Angeles County, sacred to the memory of Richard Nixon and the goddess Eris. The shrine is the bowling alley where Eris appeared to the two co-founders of Discordianism, Kerry Thornley and Gregory Hill. The Herodotus of Discordianism, Adam Gorightly, has now completed three articles on the "Tales of the Brunswick Shrine," which you can now peruse (here is one, here is two and here is three.) The new entry, posted on Jan. 8, focuses on the movie "The Big Lebowski." I've been abiding as a (self ) ordained Lebowskian priest since August 29, 2010. Where have the rest of you dudes been?